There are a number of types of bee hive design. 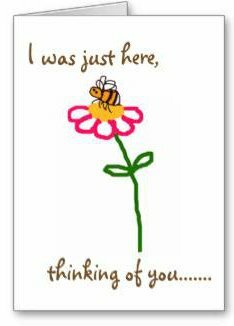 If you are considering beginning beekeeping, you may like to read up about the honey bee hives available. It's possible to build your own bee hive to a variety of designs. You can build the hive from scratch, or kits are available for self- assembly. I believe we'll see a growth in the number of 'do-it-yourself' kits being offered in the future. Certainly, through the ages, humans have found all manner of ways to keep bees and harvest honey, from traditional skeps to hollowed tree trunks. Indeed, one of the questions which perhaps needs to be addressed in bee hive design is that of the thickness of wood and materials used to build hives (in comparison with natural habitat of honey bees, such as a tree trunk), and whether the activity of honey bees in winter in a bee hive designed by humans, is really natural, or whether it is a response to the environment enforced upon them. Researcher, Derek Mitchell makes the point that in a natural bee cavity such as a tree trunk, insulation is provided by the surrounding mass of the tree. You can read more about this question here on my general page about overwintering bees. 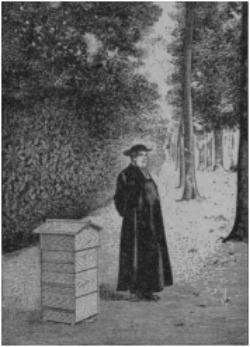 An early Top Bar Bee Hive Design was the Warré bee hive (or People’s Hive, which was pioneered by Abbé Émile Warré, but there are other types of top bar hive. Plans for this model are available from a link on this page. You can read more about this – see this brief History Of Beekeeping. 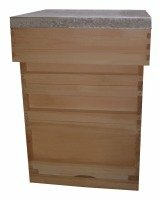 Top bar bee hive design can be vertical or horizontal. They are becoming increasingly popular with the growth of the Natural Beekeeping movement, with key authors such as Phil Chandler (one of his most recent books being Balanced Beekeeping II: Managing the Top Bar Hive). One advantage of the Top bar bee hive design, is that it can be constructed at home as long as you have some basic carpentry skills. To learn more, go to Top Bar Hive Plans. Below.. Corwen Bell has designed a number of hives, and offers plans and kits for self assembly. This kit contains top bar hive plans for Corwen Bell's Golden Mean Ratio model and is available in the USA from Amazon. Pictured above is the National Hive. With generations of research from the likes of George Wheler, Johann Dzierzon to Langstroth, there have been many attempts to create designs that would house honey bees, maximise honey production, and help facilitate the exploitation of honey bees. 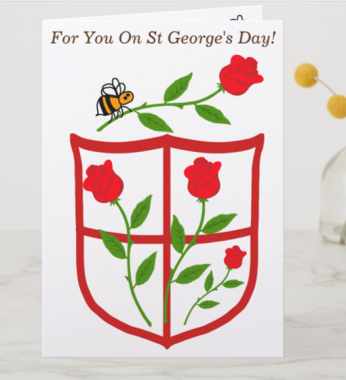 Many of the hive designs evolving from the work of these men and others, remain in wide spread use today (depending on the country in which you live). You can read more about these by going to Honey Bee Hives. If you are wanting a hive in the backyard, space may be a primary concern, and with urban beekeeping there may be other considerations, such as views of neighbours. With all the different types of hive available, and the numerous pieces of equipment and attachments required, you may rightly be concerned about storage for all your beekeeping equipment (not merely the hive itself, but also the honey extractor equipment and so on). 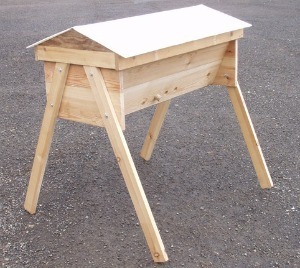 In this case it may be worth you considering a simple bee hive design, such as a top bar hive. Top bar hives, in the words of author beekeeper, Paul Peacock, create honey “as it used to be”, and many beekeepers who use top bar hives also eat the honey and honeycomb together. Top bar bee hives allow the bees to create their own combs. Alternatively, you may have other considerations. It may be that you have recently become involved with a beekeeping association which favours a particular model of hive, and may even be able to access discounts. Go from Bee Hive Design to How To Start Beekeeping for the main links to beekeeping resources on this site. If you are thinking of purchasing second hand beekeeping equipment, find out how to properly disinfect it, in order to protect the bees from the risk of spreading diseases. Go to Used Beekeeping Equipment. Make Mead Like a Viking: Traditional Techniques for Brewing Natural, Wild-Fermented, Honey-Based Wines and Beer.